Maxillary sinus cancer, a severe sinus disease, is medically referred to as maxillary sinus carcinoma (M.S.C.). This rare disease generally requires a surgical procedure. However, it is more common than other paranasal sinus cancers. An unusual mass in the maxillary sinus may prevent dentures’ placement. 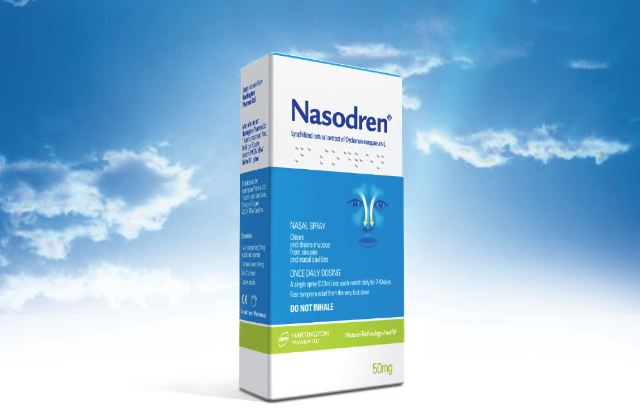 The mass may extend from low-grade adenocarcinoma that erodes walls of the sinus. The cancer patient may have sinusitis symptoms and nasal stuffiness. Imaging of the sinus may show opacity due to the tumor. The patient may become aware of swollen cheeks. The symptoms of M.S.C. also resemble those of chronic sinusitis, causing confusion and delaying diagnosis. There are several staging systems, including T-system and 6-stage, to define various levels of the cancer. The system, defined by Greene, Page, Fleming, et al, divides the severe sinus disease into five stages: T1-T4b. In T1 stage, the tumor does not cross the maxillary sinus mucosa. There is no bone destruction and erosion. T2 stage means that the tumor erodes and destroys bone. The tumor spreads to the middle nasal meatus or hard palate. However, it does not affect pterygoid plates and maxillary sinus’ posterior wall. During T3 stage, the tumor extends to the ethmoid sinuses, pterygoid plates, orbit’s medial wall or floor, subcutaneous tissues or maxillary sinus’ posterior wall bone. T4a stage means the tumor invades the frontal or sphenoid sinuses, cribriform plate, infratemportal fossa, pterygoid plates, cheek skin or anterior orbital area. The tumor enters into nasopharynx clivus, cranial nerves except maxillary branch of trigeminal nerve (V-2), middle cranial fossa, brain, dura or orbital apex during T4b stage. Bruce, Jarrell and Anthony mentioned a 6-stage staging system for the severe sinus disease in their book NMS Surgery. Stage TX means the cancer cannot be identified. Stage T0 implies that primary cancer related evidences are not found. Stage T1 means the tumor is limited to the inferior antrum. There is no erosion of the bone. Stage T2 limits the tumor to the superior antrum. There is no erosion of bone of the medial or inferior walls. During Stage T3, the tumor invades the pterygoid muscles, anterior ethmoids, orbit or cheek skin. Stage T4 means huge tumor has already invaded the skull base, pterygoid plates, nasopharynx, sphenoid, posterior ethmoids or cribriform plate. Radical or subtotal maxillectomy is used to treat cancers of the stages T1 and T2. Radiotherapy is recommended for stages T3 and T4. Does the polyps’ surgery cure sinusitis? © 2014 Hartington Pharma Ltd.. Ethereal theme. Powered by Blogger.